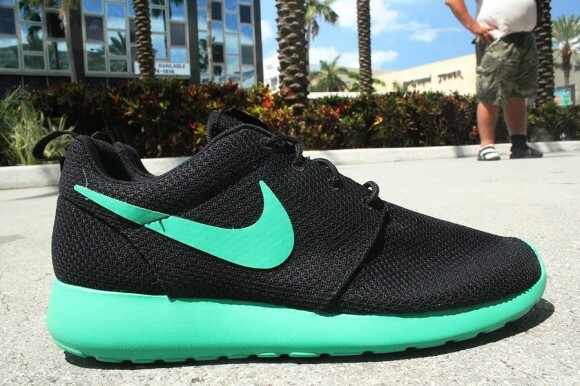 Sure to be one of the most popular shoes of the summer, the Roshe Run is now making it's way to retailers in this unique green-accented colorway. The popular lightweight runner by Nike Sportswear features a breathable black mesh upper, while stadium green adds a unique touch on the Swoosh. The refreshing shade of green is also seen covering the Phylon sole below, completing one of the most impressive colorways yet for the Roshe Run. The Black/Stadium Green Roshe Run is now available at select Nike Sportswear retailers, including Mr. R Sports on Miami Beach.